Press Release: May 16, 2018 By Sanman Promotions – Team Sanman, headed by its top brass, arrived in Los Angeles, California, USA on Saturday night (PH time) for the much-awaited fight of one its prized fighters Romero "Ruthless" Duno. Jim Claude "JC" Mananquil, chief executive officer of Sanman Promotions, and Dexter Tan, chief finance officer of Sanman, arrived in LA via PAL Flight PR 102. 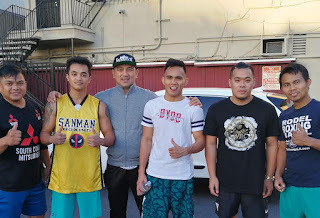 Together with Managquil and Tan was John Vincent Moralde, who is set to face American boxer Ismael Muwendo in the undercard of Jonas Sultan-Jerwin Ancajas fight on May 26 in Selland Arena in Fresno, California. The 22-year-old Duno will be battling Mexico's Gilberto Gonzales (26W-4L-0D, 22KOs) on May 17 at the Fantasy Springs Resort in California in Indio, California. Duno (16W-1L-0D, 14KOs) is gunning for an eighth straight win that will brighten his chances of earning a shot at a world title belt. Duno has been on a tear since his magnificent US debut that saw him demolish erstwhile unbeaten Christian Gonzales via a second-round knockout in March last year. For his upcoming fight, the Sanman top honchos are confident that Duno will deliver the goods. "Duno is in top shape. He will be 100 percent ready for the big fight on Thursday," said Tan. Manangquil said Duno has been doing well in his training at the Wildcard Gym under the supervision of Rodel Mayol. "Mayol has done a great job preparing Duno. He is currently four pounds over the weight limit but all is good and we are on track," said Manangquil. 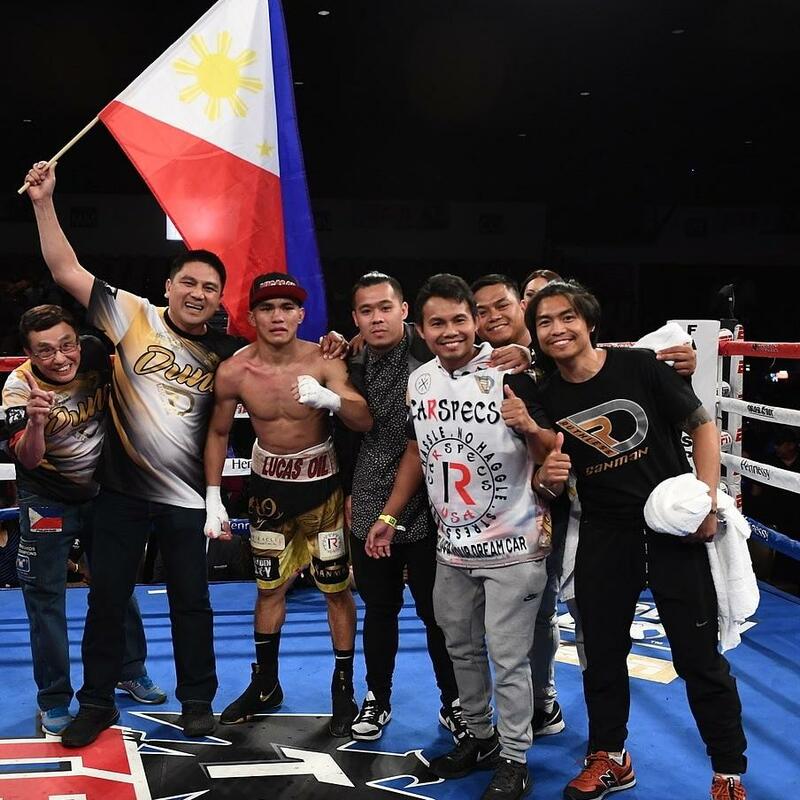 As for Moralde, arriving in the US 12 days before his fight will serve him well, said Mananquil. "He will have the chance to acclimatize with the weather. 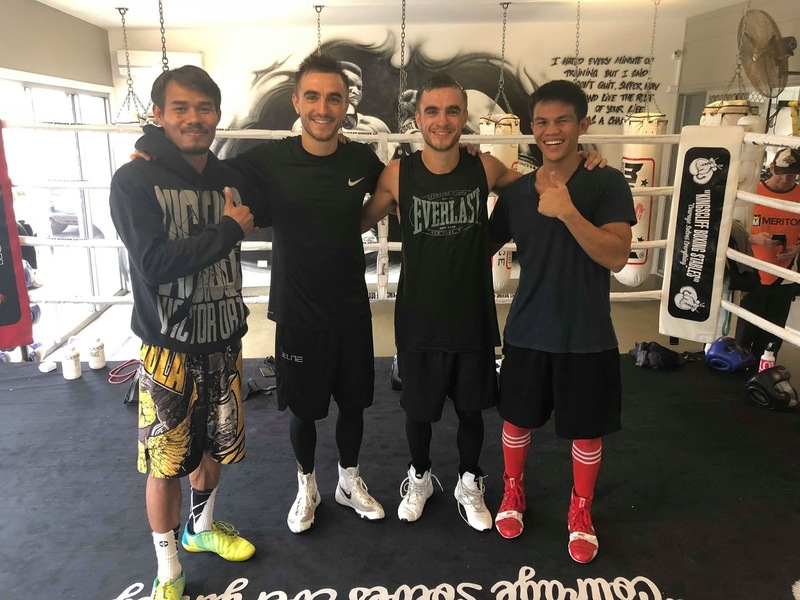 He will train at Wildcard and will probably do two light sparring sessions," said Manangquil. After Tying Hopkins, What Options Are Available For Gennady Golovkin? The twentieth world championship defense of the Middleweight world championship reign of Gennady Golovkin represented an opportunity to add his name to the history book of Boxing. For if he were successful in defense of his crown he would equal the historic feat of future Hall of Famer Bernard Hopkins by tying the all-time record for most successful World Middleweight championship title defenses that Hopkins set during his reign that spanned from 1995-2005. Of course, there are other comparisons between the two. 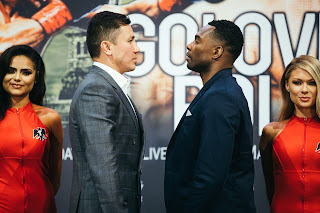 As this observer pointed out prior to Golovkin’s twentieth title defense on May 5th, both Golovkin and Hopkins share the similarity of each having to establish their reign as a Middleweight world champion largely away from the main spotlight of the sport, and each of them arguably had to clean out the division before getting the opportunity to face fighters that most would consider to be stars of the sport. An argument can also be made that each faced opposition that most Boring fans did not regard highly for their respective twentieth title defense. Some may recall following Bernard Hopkins’ knockout of Oscar De La Hoya to unify the IBF, WBC, WBA, and WBO Middleweight crowns in September 2004, Hopkins having faced and defeated one of the biggest stars in the sport at the time faced top Middleweight contender Howard Eastman in February of 2005. Despite being a top contender who entered the fight rated number one in the World Boxing Council (WBC) Middleweight ratings at the time, Eastman was not widely known to casual Boxing fans and his challenge of Hopkins was outright dismissed by some. Hopkins would go on to defeat Eastman via twelve round unanimous decision in what could be described simply as a great fighter plying his trade in a workmanlike performance. Much as was the case for Hopkins, the undefeated Golovkin would also face an opponent treated with little regard by some as he defended his unified crown against longtime Jr. Middleweight contender and former world title challenger Vanes Martirosyan at the StubHub Center in Carson, CA. As most Boxing fans know, Martirosyan stepped in on short notice following the suspension of Saul “Canelo” Alvarez, the man who was originally scheduled to face Golovkin in a highly anticipated rematch of their controversial draw last September in Las Vegas. While much like Oscar De La Hoya was one of the top stars of the sport during his time competing in the sport, Alvarez has acquired such status and the circumstances, which led to the scheduled rematch being cancelled has also resulted of criticism of both Alvarez and Golovkin. Although I discussed the circumstances of what led to the rematch falling through in previewing Golovkin’s fight against Martirosyan, what did not get much attention from yours truly prior to the bout was the criticism directed toward the champion Gennady Golovkin. Criticism for primarily the selection of Golovkin’s opponent as some felt Golovkin could have chosen to make a defense against undefeated contender Sergiy Derevyanchenko, who is currently rated as the number one contender in the International Boxing Federation (IBF) Middleweight ratings, which would have made it one of Golovkin’s mandatory championship defenses. 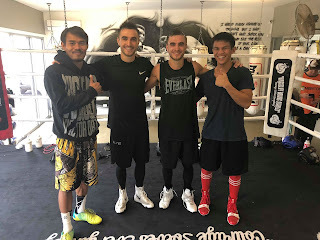 The primary reason why I did not touch much upon this subject was primarily due to the understanding that the circumstances were such that Golovkin was insistent on competing on the scheduled day of what would have been the Alvarez rematch and the limited time frame the parties involved had to first find an opponent and more specifically find an opponent that would be approved by the respective athletic commission with the limited time frame in mind. It should also not be overlooked that among the stresses that led up to the fight for the champion, the venue was also changed from the MGM Grand in Las Vegas, NV to the StubHub Center on the same time frame. Circumstances that do not tend to resolve quickly. While some Boxing fans may not know, understand the circumstances that surrounded this fight, or simply might not view Golovkin and his promoter’s choice of opposition as a “Popular” or “Appropriate” move and thus voiced their criticism, one should consider all of the above. The criticism notwithstanding, it was fair to question whether or not all of the above and what had to be a stressful period of time for Golovkin would have any negative effect on him in this fight. In addition to the circumstances that surrounded this title defense, it was also interesting to see if Golovkin, a man who carved out a reputation as one of the sport’s feared “Knockout Artists” would look to reestablish that reputation after going the twelve round world championship distance in his last two fights. Prior to those two bouts, a unanimous decision over Daniel Jacobs and the draw over Alvarez, Golovkin had stopped twenty-three opponents consecutively. Golovkin was also facing a man in Martirosyan who had been inactive for nearly two years and was fighting as a Middleweight for the first time after spending his entire career as a 154lb. Jr. Middleweight. As I pointed out in previewing this fight, it is as much an adjustment for the fighter who has a change in opponent on short notice as it is an adjustment for the fighter stepping in to take the fight with limited time to prepare. Although most would rightfully conclude that the challenger was in this instance at a disadvantage, Martirosyan was not intimidated by Golovkin and attempted to fight him. Despite this observer’s view that he needed to be an elusive target and look to offset Golovkin’s pressure attack by attempting to outbox the champion, Martirosyan was willing to stand and fight Golovkin. As several previous Golovkin opponents have found out however, opting to stand and fight a fighter with the type of punching power that Gennady Golovkin has can have brutal consequences. Despite showing his mettle, Martirosyan could not avoid and withstand Golovkin’s power and a brutal barrage of punches sent the challenger down and brought an end to the fight in the second round. Ultimately the twentieth title defense of Gennady Golovkin’s reign as a Middleweight world champion produced an outcome that was expected by many Boxing fans, despite the circumstances that led up to it. The reign of Bernard Hopkins atop the division came to a controversial end in his twenty-first title defense when he lost a twelve round split decision to Jermain Taylor in July 2005. Of course, no one knows who might be able to derail Gennady Golovkin’s ongoing reign over the Middleweight division at the present time. The question of who will be Golovkin’s next opponent however, is one that will be a topic of discussion until there is an official announcement made. Some might be of the opinion that an effort should be made to remake the rematch between Golovkin and Saul Alvarez. Although that may indeed be the “Popular” choice of Boxing fans, this observer disagrees. There is no doubt in my mind that Gennady Golovkin and Saul Alvarez will eventually square off for a second time. The fact however, is that the scheduled rematch was cancelled, not because of a fighter being injured in training as sometimes happens, but due to one fighter having tested positive for a banned substance. While there may be some who would say that the cancellation, financial fines, and suspension should be enough, a question this observer asks his readers is, if a fighter is fined, suspended, and loses a significant “Payday” due to the cancellation of a fight due to what was at the time a pending suspension with said fighter pulling out of the scheduled bout before said suspension became official, then why should there be a suspension if the fighter suspended will have the same opportunity that was before him prior to his suspension with perhaps even more financial benefits than would have been the case if the bout had taken place as originally scheduled? Even though this observer is not intending to single out Saul Alvarez, I believe it sends the wrong message if the rematch were to occur shortly after Alvarez completes his suspension. The wrong message to the critics of the sport who routinely point out the flaws in Boxing and constantly ridicule the sport over questions of corruption, but more importantly the wrong message to the fans of the sport of Boxing, who tirelessly support the sport in good times and bad, many of whom felt cheated out of an expensive pay-per-view price by the outcome of the encounter between Golovkin and Alvarez. What would be an alternative that would be more beneficial for the sport in the long-term? The logical alternative in my mind would be for Golovkin to fulfill his mandatory title defense obligations in order to keep his world championship unified and assuming he succeeds in those title defenses then look to finish unifying the Middleweight division by facing the winner of the upcoming WBO Middleweight world championship fight between undefeated champion Billy Joe Saunders and top contender Martin Murray, which is scheduled to take place in June. This would allow the fighters who have earned number one contender’s status in each organization’s respective rankings rankings, who Golovkin holds world championships to get their respective title shots, but would also lead the way to determining one “Undisputed Middleweight World Champion.” It would also allow Alvarez time to not only get himself back in active competition once his suspension is served, but perhaps will also allow him time to demonstrate that the circumstances that led to his suspension will not occur again particularly among fans who have seen his suspension as an opportunity to question his previous accomplishments throughout his career. Whether such questions are fair is something that fans will make up their own minds about. If Alvarez does show that this suspension is not and should not be viewed as a reflection of his career by what he does going forward and if he can win a few fights while Golovkin tends to other business and if Golovkin continues to win, then the rematch should be remade. While this alternative, which in this observer’s eyes is the “Right” thing to do and “Makes Sense“ with the long-term benefit of the sport in mind, I realize that there are some who will see what could be done in the short-term particularly financially by remaking the rematch as soon as Alvarez completes his suspension and would not view the opinion of yours truly as the “Popular” option. There are times however, when what is "Right" for the sport in the long-term "Big" picture should take priority over what would be "Popular." This is one of those times. We would like to let our readers know that a feature discussing undefeated unified WBA/IBO/WBC/IBF Middleweight world champion Gennady Golovkin's recent title defense against Vanes Martirosyan as well as Golovkin's potential future plans is presently in the works and will be released here on the website on Tuesday, May 15th. Following this, the regular schedule will resume with features being released between Monday and Wednesday each week. Stay tuned. "And That's The Boxing Truth." Press Release: May 7, 2018 By Hosking Promotions – Boxing’s latest twin Sensations Jason & Moloney return to ring May 19, the two will Co Main Event the Hosking Promotions “BOB ROSE CUP” Blockbuster event in Melbourne Victoria. 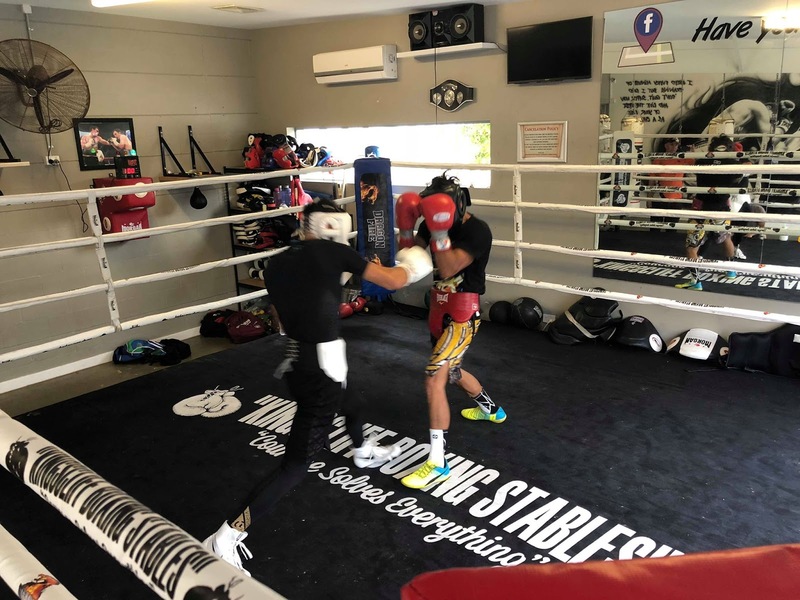 Team Moloney's fight preparation is currently in its final stages at the Kingscliff Boxing Stables gym located in Kingscliff, NSW. It has been great to spar against someone who I have previously fought. It has been a really good learning experience as I have been able to make adjustments and improve each time we have sparred.” States Andrew “The Monster” Moloney. Material Courtesy of: Hosking Promotions/ Photos Courtesy of: Michael Warren Used with permission. Over the last decade, Gennady Golovkin has gone from an unbeaten top contender, who earned interim/regular champion status in the WBA’s Middleweight ratings in October 2010 to a recognized and unified Middleweight world champion and is currently regarded as the number one fighter in the talent deep Middleweight division. Along the way, Golovkin compiled an impressive streak of consecutive knockouts stopping at twenty-three straight knockouts from November 2008 to March 2017. Perhaps more impressive than what this observer has called Golovkin’s “Path Of Destruction” through the Middleweight division has been his quiet, yet steady march toward history in tying future Hall of Famer Bernard Hopkins for most successful title defenses in the history of the division. As many Boxing fans know, Hopkins set the record for successful Middleweight world championship defenses from 1995-2005 defending the crown an incredible twenty times. During his reign Hopkins also became the first fighter to successfully unify the world championships of the IBF, WBC, WBA, and WBO to become widely regarded as the first fighter in history to earn “Undisputed World Champion” status by unifying the recognized four major crowns. Missing from Hopkins’ reign as Middleweight world champion was the crown of the International Boxing Organization (IBO). The IBO, established in 1993 has been an organization that has struggled for recognition over the years in the mainstream due to the notoriety of organizations like the International Boxing Federation (IBF), the World Boxing Council (WBC), the World Boxing Association (WBA), and the World Boxing Organization (WBO). The IBO however, has been in a position similar to those of the IBF and the WBO with the inception of each organization in 1983 and 1989 respectively. Over time the organizations were able to gain more notoriety and recognition due largely to marquee fighters, fighting for their respective world championships throughout the entire sport. Similarly, the IBO has risen in prestige over the years due to it’s recognizing world championships held by fighters who are considered stars of the sport. What can at times be overlooked if not outright acknowledged is there are also times when a fighter holding a world title can establish themselves as a star by fighting and defending the crown against the best a division has to offer. Gennady Golovkin has been one fighter that it can be said established both his credibility as well as grew a significant fan base after becoming a world champion. As is sometimes the case while a fighter can rise as a star as a world champion, achieving “Superstar” status, the type of status that most would consider to be a marquee “Pay-Per-View” draw is something that often comes with facing a fighter many consider to have such status. Much as was the case with Hopkins, Golovkin established his reign at the top of the Middleweight division as a fighter who was largely under the radar. Some might contend that Hopkins did not get an opportunity to face a “Superstar” of the sport until he faced Felix Trinidad in a unification bout in September 2001, and despite scoring a knockout of Trinidad in that fight, did not garner the benefits of most “Superstar” fighters in financial terms until he scored a knockout of Oscar De La Hoya in September 2004 in a fight where he successfully unified the IBF, WBC, WBA, and WBO crowns. For Gennady Golovkin, his opportunity to face a “Superstar” of the sport came in September of last year when he defended his unified Middleweight crown against former two-division world champion Saul “Canelo” Alvarez in Las Vegas, NV. A highly anticipated encounter that lived up to the hype of being what most would call a “Super Fight” where the best fighters face each other. Although Golovkin appeared to outwork Alvarez in this observer’s eyes as I scored the fight nine rounds to three in his favor or 117-111 in points, the official decision was a split decision draw with the scorecard of judge Adalaide Byrd being the source of controversy as she scored the fight ten rounds to two or 118-110 in favor of Alvarez. As I said in my coverage of that fight, I scored the fight for Golovkin based on his greater activity and effective aggression. Despite my not agreeing with the scorecard of Adalaide Byrd as I felt it was simply not an accurate illustration of what took place in the fight, there were rounds particularly in the first half of the fight that were “Swing Rounds” where opinion as to who got the upper hand in a round can depend on moments in a round as opposed to one fighter clearly standing out from the other during a round. Golovkin is now coming off two consecutive decisions, a close, but unanimous twelve round decision over Daniel Jacobs in March of last year and the draw with Alvarez. Having retained his title nineteen consecutive times, it seemed natural that a rematch with Alvarez for title defense number twenty and a chance to tie Bernard Hopkins would have been the preferred option both for Golovkin himself, as well as Boxing fans worldwide. If the controversial decision in that fight were not enough to incite the anger of fans as well as criticism from experts as many, including this observer felt Golovkin deserved the decision, there was yet more controversy that ultimately caused the scheduled rematch with Alvarez to be cancelled. As some Boxing fans know Alvarez tested positive for the banned substance clenbuterol during randomized testing conducted by the Voluntary Anti-Doping Agency (VADA). While Alvarez has maintained that the positive test result, where trace amounts of the substance were present came as a result of eating contaminated meat in his native Mexico, he withdrew from the rematch with Golovkin and was suspended for six months by the Nevada State Athletic Commission (NSAC) in April. Golovkin however, rather than sit out and wait for the potential rematch to be re-made has chosen to keep the scheduled May 5th date and will make the twentieth defense of his unified Middleweight crown on Saturday night against top Jr. Middleweight contender and former world title challenger Vanes Martirosyan at the StubHub Center in Carson, CA. There are a couple of interesting subplots to this fight. First, despite going the distance in his last two title defenses and there being a difference of opinion as to who got the upper hand in those fights, Gennady Golovkin is still an undefeated world champion who will enter the fight with a record of 37-0-1, with 33 Knockouts and still has a career knockout percentage of 87%. One should question however, whether all the attention focused on what ultimately resulted in the scheduled rematch with Alvarez falling through as well as facing an opponent on short notice will have any effect on Golovkin as this fight approaches. The second subplot is an obvious one. Vanes Martirosyan is a fighter who has fought for a world title twice in his career losing twelve round decisions to Demetrius Andrade and Erislandy Lara. As it is difficult for a fighter in Golovkin’s position to adjust to a change of opponent on short notice, the fighter taking the fight with limited time to prepare also faces the same challenge. Martirosyan will enter the fight with a record of 36-3-1, with 21 Knockouts and will be fighting in the 160lb. Middleweight division for the first time after spending his entire thirteen-year professional career as a 154lb. Jr. Middleweight. The challenger will also come into the bout almost two years removed from his last bout against Erislandy Lara in May 2016. What Martirosyan does have going for him heading into this fight despite being at a theoretical disadvantage is he has not been stopped in his forty professional bouts, is a boxer/puncher, and has shown that he is capable of going the twelve round world championship distance. In terms of a potential fight plan for the challenger going into this fight, this observer believes the best option for him will be to attempt to establish himself as an elusive target and look to outbox Golovkin. This is a task that has proven to be difficult to accomplish for previous Golovkin opponents due to his ability to cut off the ring and apply consistent pressure. Martirosyan must keep Golovkin at distance and unable to apply the type of gradual pressure that has often broken down many of his opponents. The champion is the type of fighter who is as dangerous in the last round of a fight as he is in the first round. If Martirosyan does find success in this fight and can offset Golovkin’s pressure attack, he must not let up as the fight progresses. As has been the case throughout his career, Golovkin will likely look to back Martirosyan up from the outset and trap him where he cannot use his lateral movement to evade his pressure. The question of how Martirosyan will respond to a Middleweight’s punch will probably be answered early in the fight and given what one can assume had to be a training camp with it’s share of distractions due to the circumstances of the situation with Saul Alvarez that Golovkin will look to end this fight early should the opportunity present itself. One may question what will be ahead for Golovkin assuming he is successful and does indeed tie the record of Bernard Hopkins. The reality is no one knows, and it is natural for both Boxing fans and experts to discuss and speculate the subject. If the circumstances that have surrounded the recent times of Gennady Golovkin have had a negative impact on him however, it could provide the opening for a fighter who is viewed as under the radar and dismissed by some to score what would be a major upset. The next chapter in the Middleweight championship reign of Gennady Golovkin will be written on Saturday night. Golovkin vs. Martirosyan takes place on Tonight (Saturday, May 5th) at the StubHub Center in Carson, CA. The fight can be seen in the United States on HBO beginning at 11PM ET/PT. Check your cable/satellite listings for time and channel in your area. For more information about HBO, HBO Sports, and HBO Boxing please visit: www.hbo.com. Check your listings internationally. Press Release: May 1, 2018 By Sanman Promotions –After falling short in his US debut, Sanman Boxing Gym's Mike Plania looks to get back on track when he headlines "Magic Show" on May 19 in Polomolok, South Cotabato. 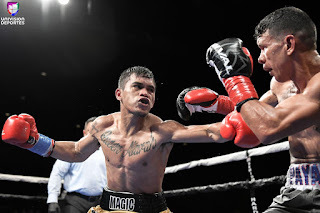 Plania faltered in his first fight in the US last March 23 but put up a gallant stand before tasting a unanimous decision loss to former world champion Juan Carlos Payano. The win earned Payano the vacant WBO Inter-Continental bantamweight belt, while Plania endured his first loss after starting his career with 14 straight wins, highlighted by seven knockout victories. Plania's opponent is yet to be determined as the full card is still being finalized, said Sanman Promotions CEO Jim Claude Manangquil. Manangquil is confident that Plania can overcome the hump following the failed US debut. "I am confident that he can recover. He is still young and we believe in his talent," said Manangquil. 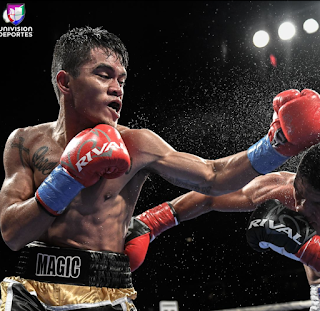 The upcoming card promises to be an explosive one as former WBA World light flyweight champion Randy Petalcorin and Jake Bornea will also be seeing action. Petalcorin, who sports a 28W-2L-1D, 21KOs record, is on a five-fight winning streak. His last loss came on April 15, 2016 wherein he vowed to Omari Kimweri for the vacant WBC Silver Flyweight title. Bornea, for his part, is gunning for a third straight win. He won over Jestonie Makiputin via a second-round knockout that hiked his record to 13W-2L-0D, 7KOs.